The present study aimed to study the possibility of using the morphological features of scales and gill rakers as taxonomic characters in some thick-lip fish species, Hemigymnus fasciatus and Hemigymnus melapterus. 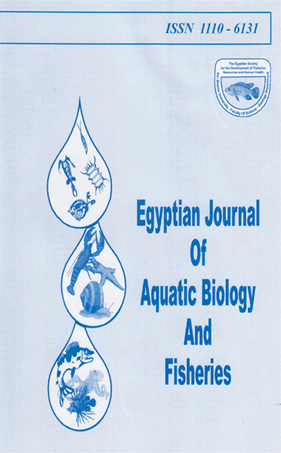 Fishes were collected from land fish market in Hurghada of Egyptian Red Sea, during the period from April 2016 to May 2017. The scales and the first gill arches of studied species were removed, stained and examined. Scales of H. fasciatus and H. melapterus are mainly of cycloid type, triangular shape and they don’t find on operculum (OOP) region. Scale margin is smooth in all regions in H. fasciatus, but it is convex in under pectoral fins in H. melapterus. Scale focus has oval shape in H. fasciatus and elongated oval shape in H. melapterus. Separation line has reversed V shape in all regions in first species and semi-striated shape in the caudal peduncle area in the second one. Granulation area of H. fasciatus has crescent shape but in H. melapterus it has triangle shape. Gill rakers of the anterior row have sharp tips in H. fasciatus and but have forked tips in H. melapterus. Gill rakers of the posterior row have flower like shaped base in H. fasciatus and leaf or cup shaped base in H. melapterus. The anterior row has 22-23 gill rakers in H. fasciatus and it has only 20 gill rakers in H. melapterus. The posterior row has only 16 gill rakers in H. fasciatus and it has 18-20 gill rakers in H. melapterus. In conclusion, the morphology of scales and gill rakers in H. fasciatus and H. melapterus can be used as diagnostic characters (finger print) in their classification.